Milford Alderman Ray Vitali brought the idea to the full board to raise the age from 18 to 21 on the purchase of tobacco products in Milford. Milford’s Board of Aldermen took a stab at reducing the number of young adults who get hooked on tobacco products when the board voted unanimously April 1 to raise the age for buying tobacco products in Milford from 18 to 21. The new city ordinance applies to the sale of cigarettes, tobacco products, electronic nicotine delivery systems and vapor products. Republican Alderman Ray Vitali (R-5), vice chairman of the Milford Prevention Council, brought the idea of raising the age to the full board, and he got plenty of support from the community and his fellow aldermen. School officials, health officials and even a local high school student attended the Board of Aldermen’s meeting April 1 to speak in favor of the new age restriction. Jenn Paradis, executive director of the Beth-El Homeless Shelter, said she has seen the harm tobacco products inflict on young people, adding that the use of tobacco products represents an at-risk behavior that often leads to others. 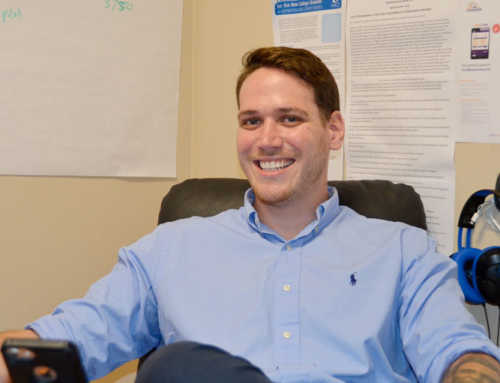 “As a provider that serves at-risk youth, those experiencing homelessness and hunger, we have a vested interest in ensuring that we do all we can do to prevent the influx of youth into our shelter systems,” Paradis said. John Dixon, CEO of Bridges, spoke in favor of the new ordinance, as did School Supt. Dr. Anna Cutaia, joined by a group of local educators. Jonathan Law High School Principal Fran Thompson, who has been vocal over the years about the growing number of teenagers using electronic cigarettes, spoke on behalf of the educators. Thompson also said school officials see vaping spreading to the middle schools. Morgan Taylor, a student at Jonathan Law High School, said vaping is a problem at her school, and she thinks raising the age to buy tobacco products will help curtail use. The ordinance approved in Milford cites a number of statistics, including that 95% of adult smokers began smoking before they turned 21. It says tobacco industry documents show that individuals who start smoking by the age of 18 are almost twice as likely to become lifetime smokers compared to those who start smoking after they turn 21. The ordinance also states that e-cigarette aerosol that users breathe can contain harmful and potentially harmful substances, including nicotine and cancer-causing chemicals. 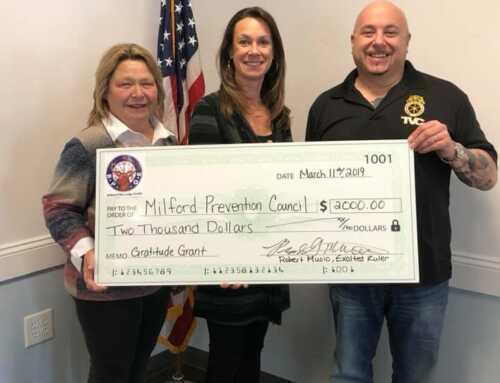 In adopting the ordinance Monday night, Vitali said Milford joined five other communities that had already done so in Connecticut — Hartford, Wallingford, Southington, South Windsor and Bridgeport. Trumbull’s Town Council also voted Monday night to increase the age to 21. There is movement at the state level to raise the age to 21 as well. According to a March 5 article at CTNewsJunkie.com, a bill that would prohibit the sale of cigarettes, tobacco products, electronic nicotine delivery systems and vapor products to people under the age of 21 received strong support during a recent public hearing. If Connecticut passes the bill it would join Massachusetts, California, Hawaii, Maine, New Jersey and Oregon in raising the age from 18 to 21, according to CTNewsJunkie. Per Milford’s new ordinance, retailers that violate the new ordinance face a fine of $100 for the first offense and $250 for the second offense. The ordinance also requires businesses that sell tobacco products to post signs stating that people have to be 21 or older to buy them. Alderman Ellen Beatty (D-1) said she wants to see follow-through on the ordinance to gauge what impact it has, and Vitali agree that is a good idea. Alderman Nick Veccharelli (D-2) said he initially had some concerns about the ordinance, pointing out that local businesses might be hurt when their customers go to another town to buy their tobacco products. But he said he’s proud Milford has taken this position. Even if businesses take a hit it’s worth it if it saves the the lives of young people, he said. Zee Zulfiqar, who owns Krauszer’s on Pond Point Road in Milford, said he doesn’t have a problem with the ordinance. Don Eng contributed to this article.